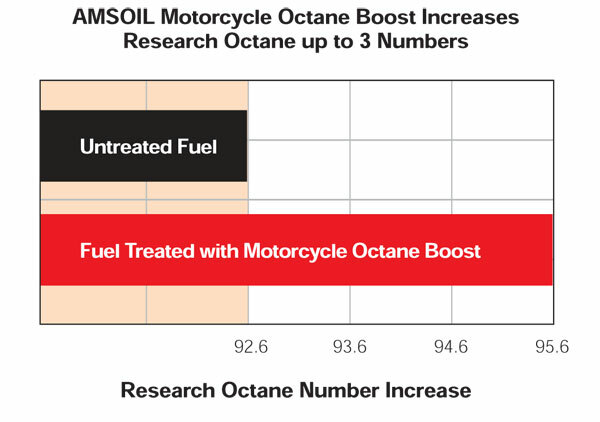 Motorcycle Octane Boost Maximizes Power and Efficiency Increases octane for power and efficiency. 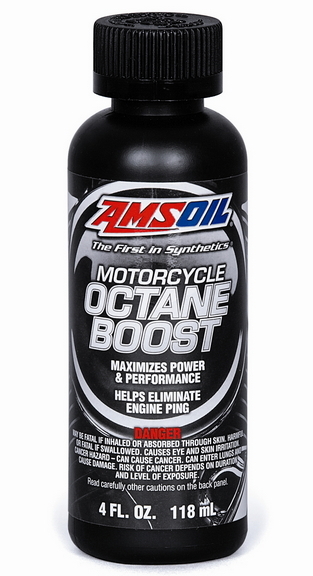 It is designed to improve startup performance and eliminate engine ping and knock for increased power at low-rpm operation. Contains detergents that help combustion chambers and fuel delivery systems maintain cleanliness for optimum performance. It’s the easiest and the most difficult product to sell!! Yes, people who use this are blown away by how well it works beyond what they expected. Assumed it would simply control the knock or pre-detonation and the bonus was instant low end throttle response and responsive acceleration. It also cleans carbon air cooled V-Twins are known for. But it’s one of the products they come back to our Omaha store just for another bottle with a big smile on their face. 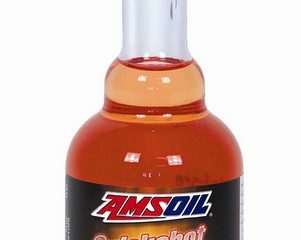 On the other hand, it’s the one add-on product we get the most “not interested” when we suggest it with their motor oil purchase. Boy if only they knew what they were passing up.